From the design journal of artist and sculptor Kennedy Fox. The piece is called “Bells”. 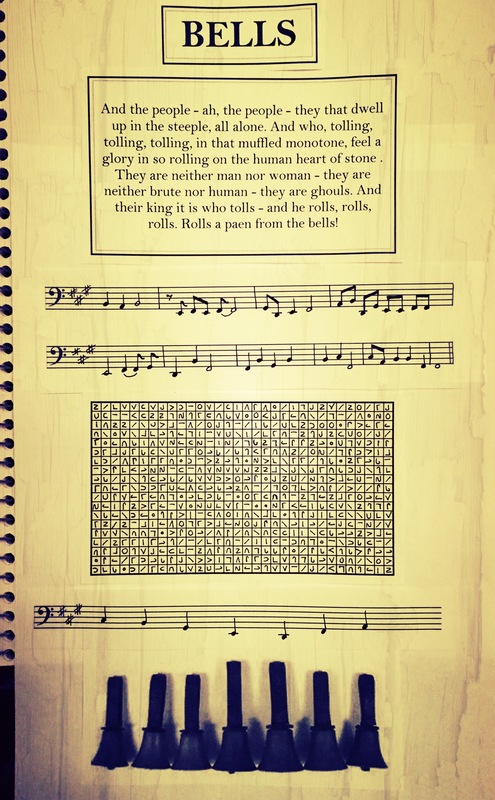 It depicts two ciphers, one in Moon Letters and the other as a melody to be played with hand bells. The finished piece was to include the 7 hand bells each tuned to a note of the F# minor key as depicted at the bottom.